The Speed 2.0 SG is built for the agile player who craves expression. 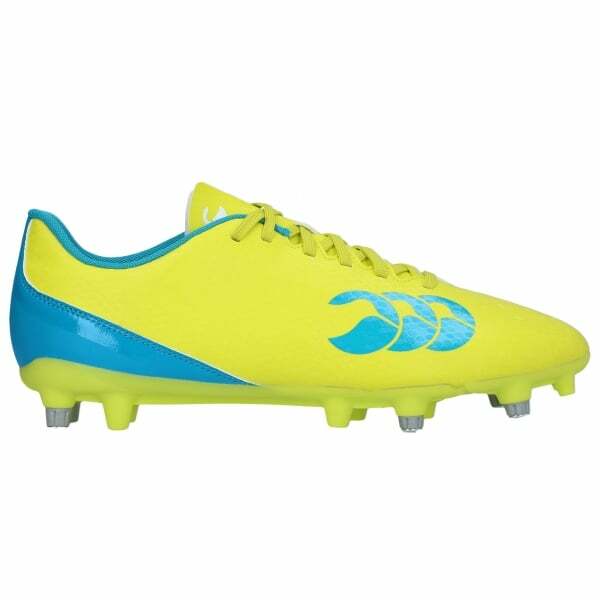 Designed with a soft PU upper and striking sulphur yellow colour for maximum on-pitch presence, moreover a cushioned collar to ensure maximal wearer comfort. Engineered on Canterbury's new Speed last, which offers a dynamic forefoot and a locked in toebox and collar. Further an 8mm heel raise reduces lower limb strain and promotes a power positioning whilst a 6 stud outsole ensures traction on soft ground.